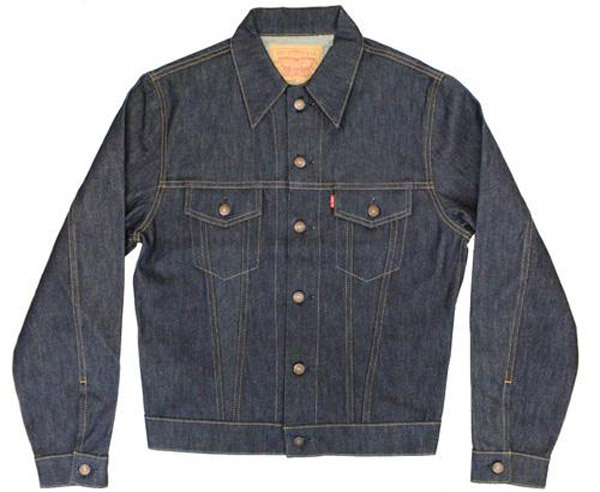 Yes, you can go to Levi’s and by a trucker jacket much cheaper. 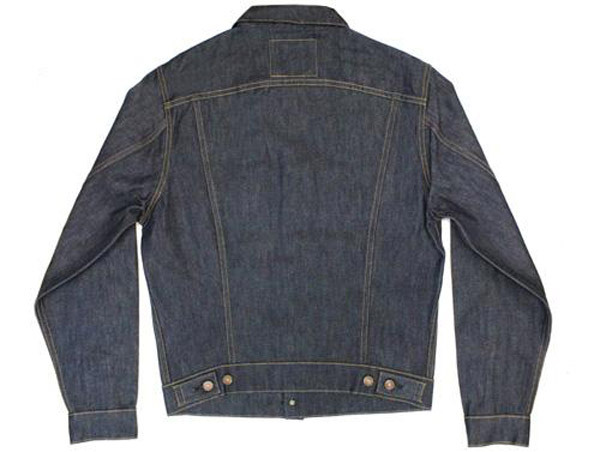 But it isn’t going to be this Levi’s 1967 Type III jacket with deadstock dry finish. This is the real deal. 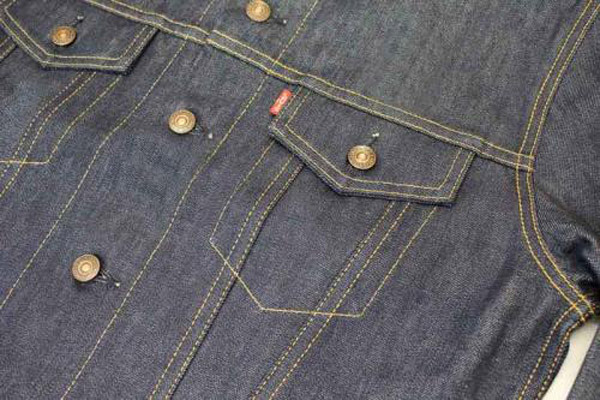 The 1967 original with deadstock dry construction, looking as it should in terms of the denim as well as the details. 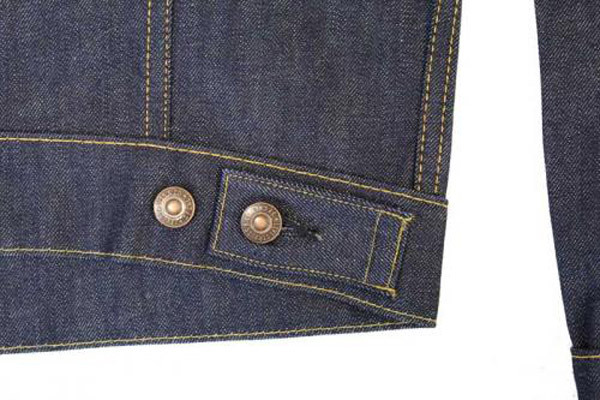 The denim will just age well over the years, as it should. A jacket that will be with you pretty much forever. Even when they wear, they still pack in the character to compensate. 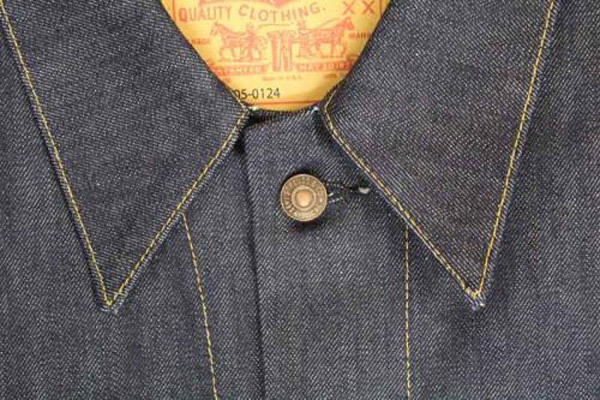 This 1967 jacket is pre-shrunk (so buy your size) and is finished with two side adjusters on the waistband, the characteristic pointed pocket flap, a double sided big ‘E’ red tab, the label inside the collar, button cliffs and obviously a button front. They got it right in 1967 and there’s absolutely no reason to change a winning formula. Not as easy to track down a ‘proper’ jacket these days, but Aero always seems to have stock. 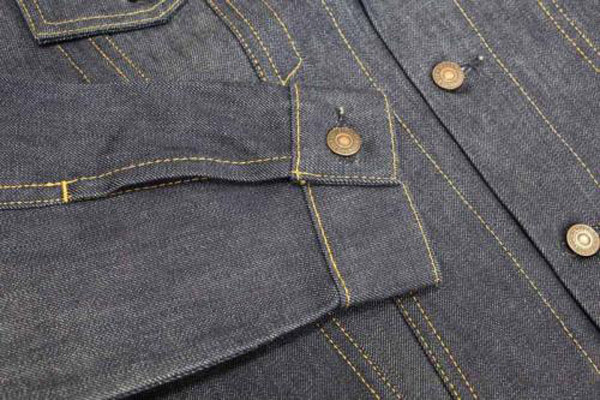 In fact, they have most sizes now, priced at £290.